Healthy white teeth not only boost confidence, it also signifies good oral health. Brushing and flossing help to keep your teeth and gums healthy; however, these two measures are often not enough. There are several other aspects to be taken care of to ensure healthy teeth. So here are a few tips for healthy teeth. A good oral health can improve your overall health. Yes, brushing will always be on the top, among the tips for healthy teeth. For better cleaning of plaque and other soft deposits on the teeth, it is advisable to brush at least twice daily – after getting up in the morning and before you go to bed. Cleaning the deposits on the teeth prevents tooth decay and formation of cavities and also helps in preventing bad breath. It is preferable to use a brush with softer bristles and change the brush once in two-three months. The brushing should not be too harsh. Flossing may often be required to clean the areas inaccessible to the toothbrush. This includes the crevices between the teeth and the proximal surfaces of the teeth. The floss can be wrapped around the teeth for improved clearing of plaque and debris. Flossing may often be necessary to clear the food, stuck in between the teeth. However, care must be taken to avoid hurting the gums during flossing. Overzealous flossing can injure the gums. Floss holders can be used if it is difficult to use the floss in the traditional way. This is also one of the important tips for healthy teeth. Fluoride is a mineral which helps to rebuild the lost tooth structure to some extent. 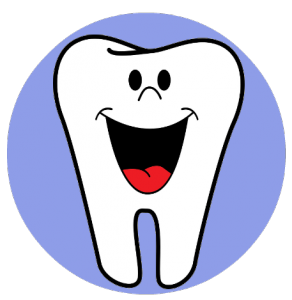 The tooth is made of mineral crystals which can be dissolved by the acids produced by cavity causing bacteria. Application of fluoride can often help in restoring the mineral structure of the teeth. However, excess fluoride is harmful. As it can replace the natural minerals in the tooth and weaken the tooth. Hence, before following this tip for healthy teeth, it is advisable to consult a dentist and ensure that it is suitable for you. Cleaning the tongue can help fight bacteria in your mouth. It not only helps in keeping your teeth healthy but also prevents bad breath. The tongue can be cleaned while brushing the teeth. However, be careful while using a tongue scraper as overzealous scraping can injure the tongue. Sugary drinks and carbonated drinks are harmful to teeth and should be avoided. While sugary drinks can increase the risk of tooth decay, carbonated drinks can lead to abnormal tooth wear. Fresh fruit juices without sugar should be preferred instead of bottled juices. Consumption of fruits and vegetables on a regular basis is also useful in keeping the gums and bones healthy; which in turn improves the tooth stability. Scheduling a visit to the dentist near by is also one of the vital tips for healthy teeth. A dentist can assess your oral health status and help you keep the teeth healthy. During a dental visit, various aspects such as brushing methods, gum health, a risk of cavity formation, and the presence of cavities are assessed to help you keep your teeth healthy. Problems can be detected at the earliest and care can be initiated to prevent its further progression. So don’t forget to visit your dentist on a regular basis. Tooth decay can progress further if left untreated causing pain and swelling. When left untreated, the bacteria which cause tooth decay can infect the pulp (soft tissue inside the tooth which contains nerves and blood vessels). In such cases, it becomes necessary to undergo root canal treatment followed by crown placement. However, when detected early, cavities can be filled to prevent further progression of tooth decay. Replacing missing teeth is a useful tips for healthy teeth . The teeth adjacent to (and even the opposing) the missing tooth space tend to move (or lean) towards the empty space over a period of time due to lack of support. Hence, it is essential to replace the missing tooth/teeth as early as possible. Meet the dentist to know the option that is right for you. While many tooth problems can be treated at home, it is always advisable to consult your dentist first. This helps in detecting any underlying issues which may be causing symptoms such as bleeding gums, bad breath, toothache, etc. The dentist would advise you regarding the right cause and whether home care would be sufficient or further treatment is necessary. Brushing twice daily is not the only tips for healthy teeth but doing it the right way also matters. Never use a hard brush to brush your teeth as it can cause abnormal wear of the teeth. Brushing the wrong way can also heighten the risk of abnormal wear. Consult your dentist or the dental hygienist to know the right method of brushing today. This can ensure healthy teeth and gums. Abnormal wear of the teeth can cause tooth sensitivity and in severe cases can cause pain. Use a soft brush and brush gently enough to clear the debris and plaque off the teeth. The last tips for healthy teeth is using the teeth only for what it has been designed – to chew food. Avoid cracking nuts, opening bottles or packages with the teeth as it can cause chipping or breaking of the teeth. Permanent teeth once formed are not replaced by the body and you need to take care of it for a lifetime. So make sure you protect it well by taking good care of it.